Dr. Connor first found chiropractic at 17 years old when he started experiencing neck, elbow pain and breathing difficulties as a high school triathlete. He experienced complete relief of his symptoms and learned the value of chiropractic care as a regular practice. Seeing a chiropractor allowed him to keep going to the gym and achieve his goals. As a college football player, chiropractic helped him heal from numerous injuries, and regular chiropractic adjustments helped him excel in a career as a professional natural bodybuilder. “I realized the importance of taking a proactive approach to health and healing and was able to make dramatic changes in a short amount of time.” At the age of 23 years old, Dr. Connor was the youngest natural bodybuilder to receive professional status. Dr. Connor received his undergraduate education at Loyola University Chicago and graduated with honors in psychology and nutrition. He holds both a Doctorate of Chiropractic and Master of Science in Positive Psychology from Life University. Dr. Connor is a Certified Personal Trainer with the American Council on Exercise and holds his USA Powerlifting Club Coach (USAPL-CC) certification. At Life University, Dr. Connor studied the Pierce Results System (PRS), a 21st- century chiropractic approach using digital motion X-ray, infrared thermography, and instrument-assisted adjusting. Dr. Connor was certified by the PRS Doctoral Board to practice the system, elected to the PRS Executive Board on campus, and taught his peers how to refine their skills for four years. Dr. Connor is currently one of only about 25 chiropractors in the United States practicing PRS, and he is regularly involved in seminars, workshops, and symposiums around the country. PRS is an effective approach for people of all ages, but Dr. Connor understands that children and pregnant women require additional specialized care. He is certified in the Webster Technique, and he is enrolled in the International Chiropractic Pediatric Association (ICPA) Certification Program. 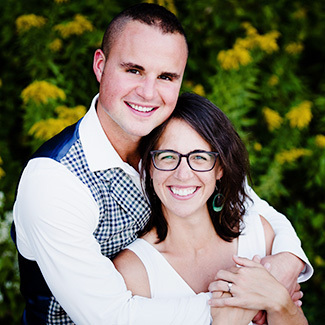 His wife Dr. Natalia describes Dr. Connor as “enthusiastic about everything that he does.” He is dedicated to his physical health and can often be found lifting weights at Delnor Health & Fitness Center and Geneva Park District or training for his next marathon. He has a devoted meditation practice, and he is outdoors as often as possible reading or running. Often, he is doing all of the above at the barn with his wife and their horses Delilah and Max. He is insatiably passionate about longevity (life span vs. health span) and performance. He is currently designing a community lecture series highlighting key elements of ancestral health, discussing innovative research, and identifying positive action steps towards wellness. He supports KetoPet Sanctuary, a non-profit organization specializing in treatment and prevention of cancer in pet animals through nutrition. He also volunteers at the Rehabilitation Institute of Chicago (Shirley Ryan AbilityLab) uplifting patients and families in the Pediatric Innovation Center. Contact Greater Good Chiropractic Care today to book a same-day appointment with Dr. LaVallie.